A common misconception that needs clearing up right away is that Hamilton, the capital of Bermuda, is located in Hamilton Parish. It’s not. The City of Hamilton is in Pembroke Parish, approximately three miles south west of Hamilton Parish. The area was initially named Harrington Tribe, after Lucy Russell (nee Harrington), the Countess of Bedford. She was a shareholder in the Virginia Company that colonised Bermuda at the beginning of the 17th century. It was renamed after she sold her shares to James Hamilton, the Marquess of Hamilton. Hamilton Parish wraps around Harrington Sound, a large inland body of water connected to the ocean at Flatts Village. It is home to Bermuda’s newest and most luxurious hotel, two prestigious golf courses, and some popular tourist attractions. It has an area of just over two square miles and a population just under 6,000. Smith’s Parish lies to the west, and St George’s Parish to the east. Hamilton Parish has a good selection of accommodation, catering to all budgets and tastes. Visitors staying here benefit from its proximity to LF Wade International Airport. After passing through immigration and customs, you’ll have a very short taxi ride to your hotel. The Rosewood Tucker’s Point Hotel is a new hotel, completed in 2009 and situated on the site of the Castle Harbour Hotel. It is the most lavish hotel in Bermuda and cost around $130 million to build; a considerable amount considering it has just 88 guest rooms. Facilities include a championship golf course, a spa and fitness centre, private beach and beach club, dive shop, tennis courts, and some great restaurants. Needless to say, rates are at the top end of the scale. Grotto Bay is one of the most popular resorts on the island. It’s not in the same class as the Rosewood but offers great value for money and consistently receives good reviews from guests. Situated on a hillside overlooking Castle Harbour it features over 200 rooms, Bermuda’s most unique spa, a dive centre, water sports facility, tennis courts, and a private beach. All-inclusive rates are available. 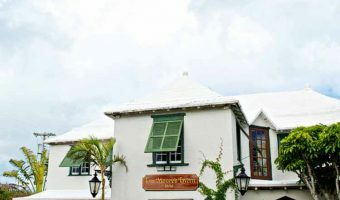 The Swizzle Inn is perhaps the best known pub in Bermuda. Located at Bailey’s Bay, just down the road from Grotto Bay, it is famous for creating the Rum Swizzle. They serve pretty good food too (try the Bailey’s Bay Fish Sandwich) and there’s live entertainment most evenings throughout the summer. Hamilton Parish also has more than its fair share of upmarket restaurants. In fact, two of the four AAA four diamond rated establishments are here; The Point at Rosewood Tucker’s Point and Tom Moore’s Tavern at Walsingham Bay. Other places to eat include Rustico and Four Star Pizza, both in Flatts. Beneath the stretch of land between Harrington Sound and Castle Harbour there’s a network of underground tunnels, caves, and grottoes. The Crystal and Fantasy Caves are open to the public and are a must-see for any visitor. There are also caves in Blue Hole Park and in the grounds of the Grotto Bay Beach Resort. The Bermuda Aquarium, Museum, and Zoo (BAMZ) is one of the island’s most visited tourist attractions. You won’t find elephants, lions, tigers or other large animals here but it’s still an interesting place to visit. The most impressive display in is the North Rock Exhibit; a huge 140,000 gallon tank with barracuda, sharks, and impressive collection of live corals. Shelly Bay is the only public beach of note in Hamilton Parish. It’s more popular with local families than tourists and features a decent playground, a small nature reserve, and sports pitches. John Smith’s Bay is Smith’s Parish is close by. Sports enthusiasts are really spoiled for choice. The Mid Ocean Club is one of the most famous golf courses in the world. It’s an exclusive private club with high membership fees but visitors with deep pockets can play here on certain weekdays. The other course in the area is the Tucker’s Point Golf Club. 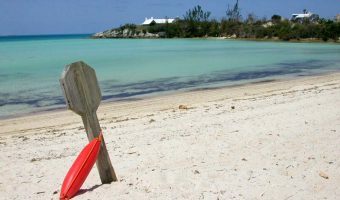 Two of the island’s five dive shops are based in Hamilton Parish; Tucker’s Point Dive and Water Sports Centre at Rosewood Tucker’s Point and Dive Bermuda at Grotto Bay. You can rent a Boston Whaler from Blue Hole Water Sports or go on a snorkelling cruise with Ana Luna Adventures. Walkers and cyclists can explore the Railway Trail. The stretch passing through the area runs along the northern shore and is particularly scenic. It starts just outside Flatts and passes Shelly Bay, Crawl Waterfront Park, and Abbott’s Cliff Park. For many years the Bermuda Perfumery was a landmark attraction just down the road from the Swizzle Inn. It has now relocated to Stewart Hall in St George. The Shelly Bay MarketPlace is the only supermarket in the parish, although there are several smaller grocery stores in Flatts. Harrington Hundreds in Smith’s is also close by. Hamilton Parish is connected to St George’s Parish by the Causeway. Cross this bridge and you’ll find yourself at the airport. Four bus routes run through the parish. All travel between Hamilton (the capital) and St George but take slightly different routes. Bus 10 and bus 11 travel along the North Shore Road, while bus 1 and bus 3 follow routes south of Harrington Sound. If you want to explore Bermuda at your own pace you can rent a scooter from Oleander Cycles at Grotto Bay. ATMs are located at the RUBiS Causeway Service Station (next to Grotto Bay), the Shelly Bay MarketPlace, Crawl Hill Esso Tigermarket, and at Rosewood Tucker’s Point. The Swizzle Inn offers complimentary WiFi for customers. There are two post offices in Hamilton Parish; the Crawl Post Office and Harrington Sound Post Office. For official tourist information you’ll need to leave the parish and visit the St George’s VIC. Interactive map of Hamilton Parish. Click on any icon for further information. Rated as one of the best golf courses in the world. It’s private but visitors can play on certain weekdays. Fine dining restaurant in Hamilton Parish. One of just a handful of establishments on the island holding four AAA diamonds.